If you’d had been there to see it. If you were at the starting line at King of the Hammers 2018 watching this full-bodied, high-centered, black smoke spewing, Cummins-powered International Scout take off from the starting line on main race day… you would have had a lot of questions running through your mind. Who does Aaron Kaufman think he is? What is a Scout doing racing in the 4400 class? Why can’t I help myself from rooting for it? By now you might have caught the opening episodes of Shifting Gears on Discovery, where Kaufman and his new team set out to build unique, purpose-driven vehicles, then put them to the test in epic adventures. This ’71 International Scout is their first project. The crew Aaron has assembled for Arclight Fab gets to test out its working relationships during the filming the first season of Shifting Gears. Unlike many car shows we’ve become familiar with, Shifting Gears doesn’t fit an entire build into a single episode. They take three. This allows them not only to delve into more complex builds, but also get to point of the show—taking the car out and testing it. In the Scout’s case, that meant a group road trip to King of the Hammers (KOH) in Johnson Valley, California. Jason Bowman is the all-around powertrain guy, who happens to love diesels possibly even more than Aaron. “When Aaron said ‘Cummins’ for the Scout, I said ‘Hell yeah!’” Jason was the one person on this team who had actually been to KOH before. Attending each of the past seven years as a spectator, this year would be different bringing a car and co-driving in it. Jon Rodriquez, J-Rod for short, is the electrical guy who ensures everything is powered and doesn’t catch fire! “I’m usually the last one who will work on a project… which sometimes means I’ve got the least amount of time,” laughs J-Rod. On this Scout project, where things were constantly shifting as understanding of the Ultra4 rulebook was gained, he really rolled with the punches. 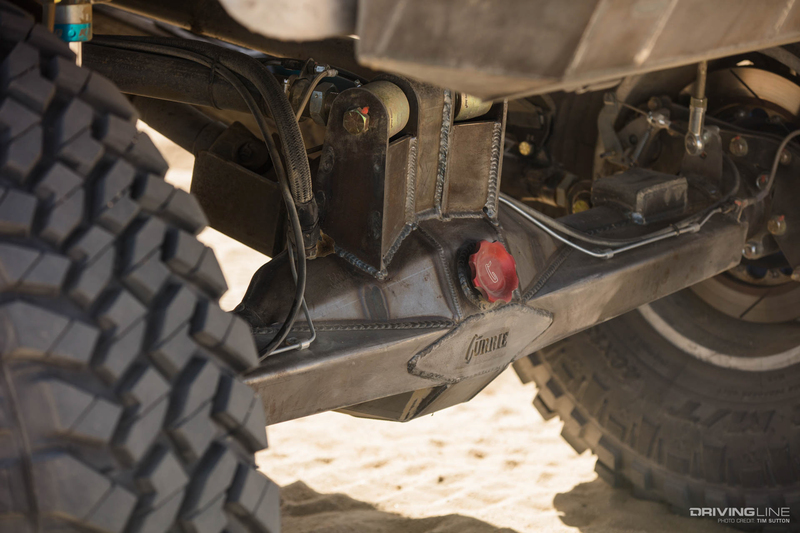 As if building a car from the chassis up in 100 days, while being filmed, wasn’t difficult enough—“None of us here have built an Ultra4 car before,” adds J-Rod. 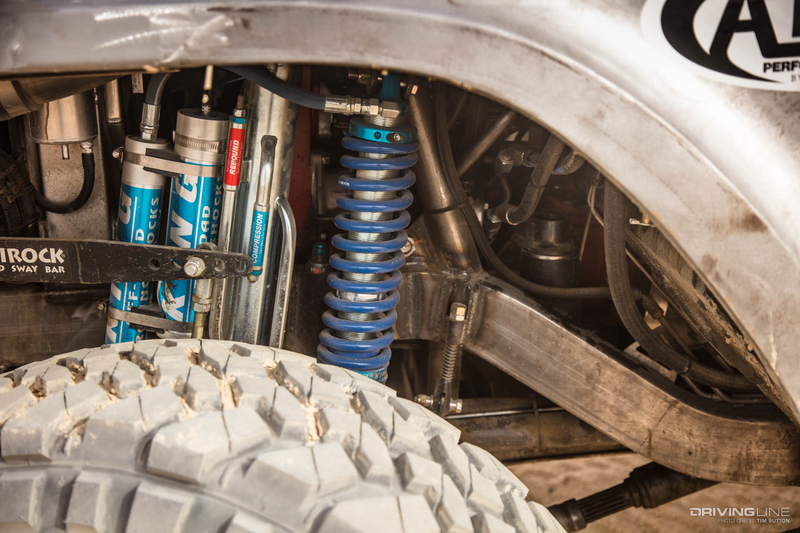 When asked what was most difficult about the process, Jason replied, “Let’s just shorten it up and say ‘The Truck.’” Starting off with a plan very different from a 4400 unlimited Ultra4 car, the shift in building alone required enormous adaptability. Add to it that this is a 1971 International Scout. 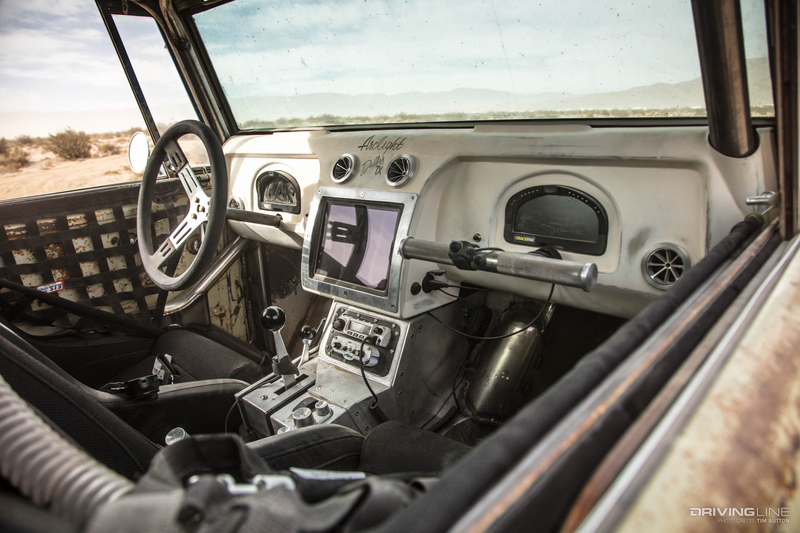 It’s a car very similar to an old Bronco in platform style—requiring a full custom chassis, roll cage and suspension set-up, mocking an engine and all its components into place, and fitting everything within the intact sheet metal shell of a vintage truck. “We essentially built everything,” says Jeremy. 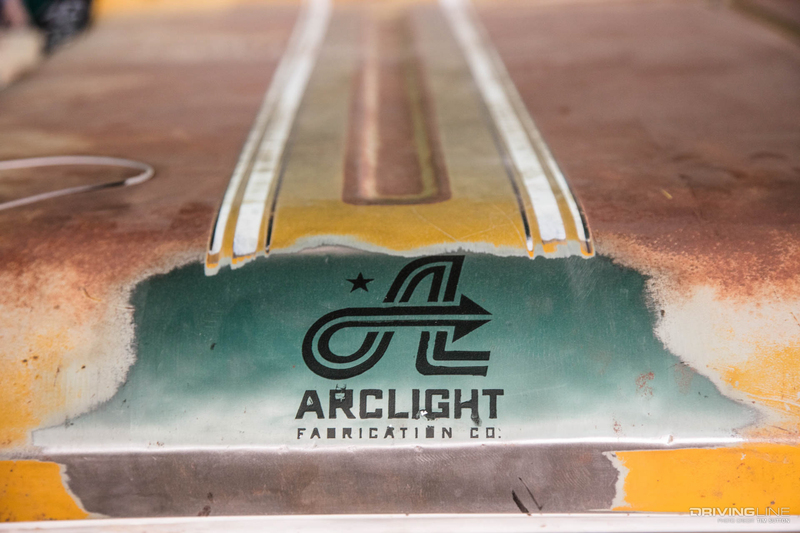 “If it wasn’t built by us, it doesn’t have our name on it.” As the sheet metal fabricator, Jeremy had his work cut out for him. “The fender flares are actually one piece, front and back are one piece.” Using a Baileigh power hammer, a new piece of equipment to them, “we came up with a solution to make that out of one piece and it was a task to get it done.” What they ended up with is a stock profile, with all the original character of a Scout, including changes to enable heavy off-roading. 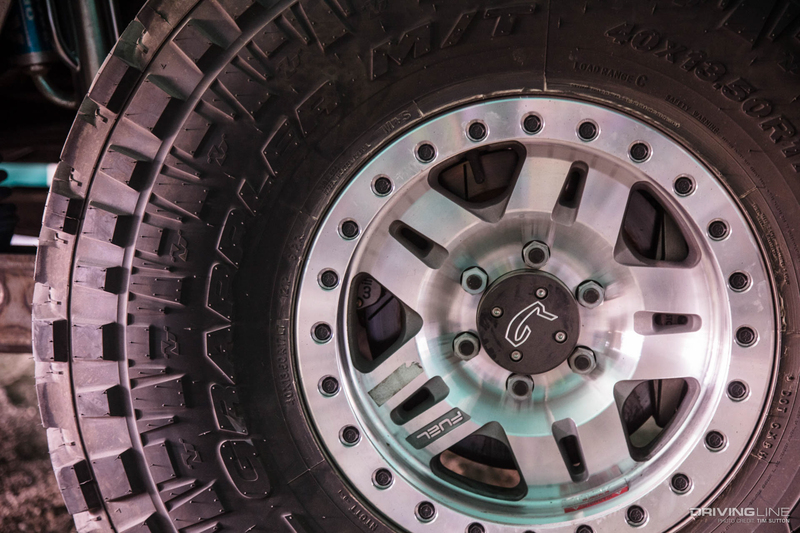 To allow proper wheel articulation, the wheel wells were bumped about 2.5” taller, 6” longer and 1.5” wider while keeping their original body contours. The roof has been extended 2”, though not entirely planned for. “We built a cage and then hit an ‘uh-oh’ moment when we went to put the roof back on.” It’s all part of the process of having shifting build specs with many moving pieces and a rulebook of regulations you suddenly must follow. “I think the doors are the only thing that didn’t get touched on the truck. Everything else was a challenge,” laughs Jason. 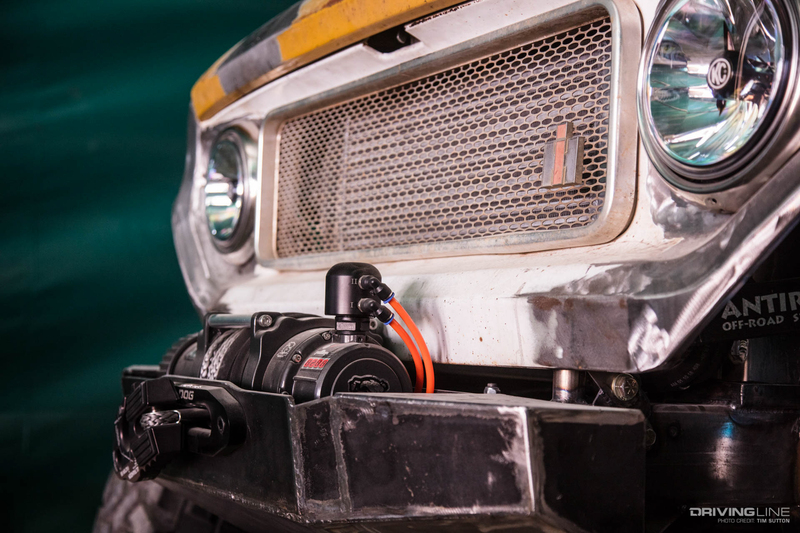 Under the hood a 4BT P-Pump Cummins provides the power paired with a compound turbo set-up. 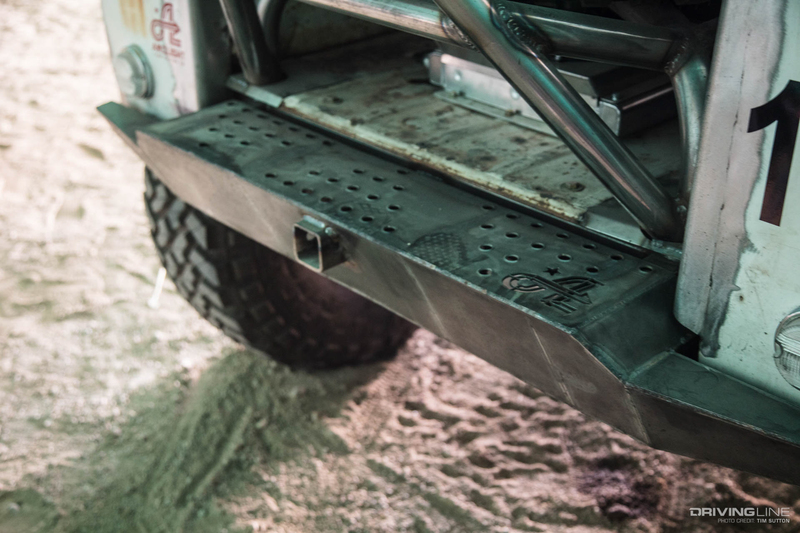 “When we first started to build this thing, there was room for days under the hood. Then you start putting more components in and now you couldn’t fit a sheet a paper in there if you tried.” The same went for wiring. “It was like putting 10 lbs of stuff in a 5 lb bag,” notes J-Rod. They had just about 5 minutes of run time before loading it on the trailer and hitting the road for Hammers. Ultimately, engine performance, which affected fuel consumption, was the nail in the Scout’s coffin on race day. Landing on the lakebed that becomes Hammertown during King of the Hammers is a surreal experience, even more so when you’re bringing a race car you’ve just worked on against the clock for the past 100 days. Jason was the only one on the crew who’d ever been. J-Rod had never even been in the desert when he arrived. 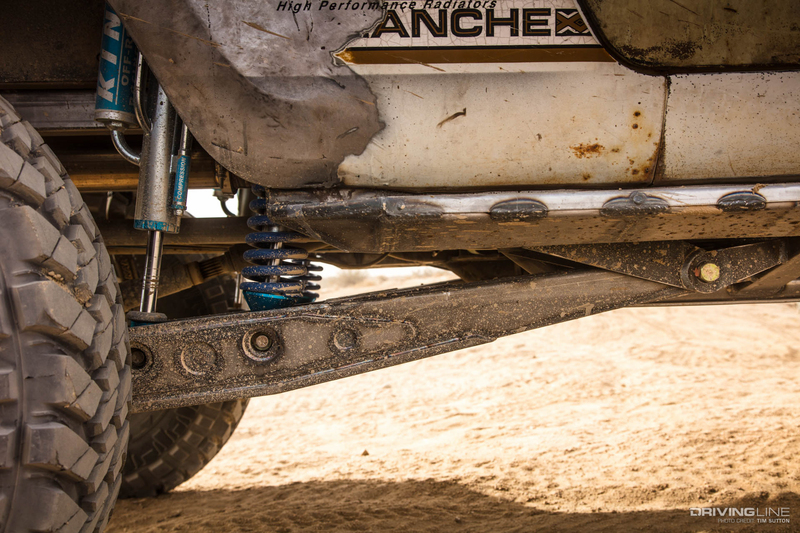 Against the salty and seasoned long-time racers and off-roaders, the Arclight crew was green to say the least. What we all know by now is that Moab isn’t where the Scout landed. It was finished just in time to race KOH. “We pivoted and did what we could to make it work,” explains Aaron. 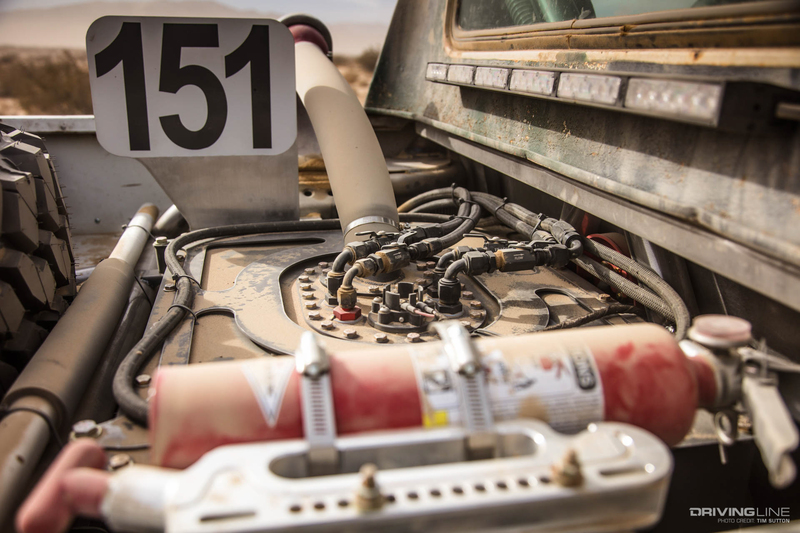 “And we came out with a vehicle that techs for 4400.” Whether or not Ultra4’s most competitive, unlimited 4400 class was the one it ought to be in is beside the point—decisions they’d made earlier in the build destined it to race there. So the team showed up ready for an adventure and ready to race. Race Mile 5 passed, then 12 and eventually the Scout made it to Cougar Butte, the first rocks section. As they tell it, going through Cougar Butte seemed like another awesome day on the trail. The Scout was performing splendidly through the rocks… until it wasn’t. What everyone knew in the back of their minds was that the Scout only had a 25-gallon fuel tank and they were getting 1.2 mpg. It doesn’t take a math whiz to know that with 199 miles, limited pit stops and no outside help on course, their chances of finishing were bleak. At Race Mile 26 the truck petered out and died. Not even hiking back to the pit and carrying fuel in would’ve gotten it to the next stop. “Sometimes you don’t realize that something’s meant for you until you go do it,” tells Aaron. “It was a powerful experience. I plan on being back and finding out exactly what we can get done out there when we bring the proper tool.” While we’re sure there will be a handful of other builds and many more car adventures sandwiched between here and there, we’ll be anticipating seeing the Arclight crew back at Johnson Valley. 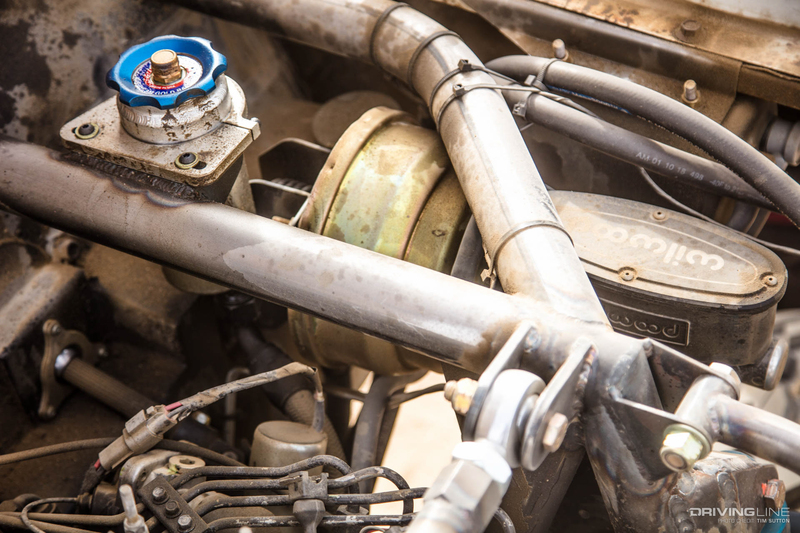 Until then, catch them in Shifting Gears on the Discovery network and look to see Arclight Fab manufacturing parts to support late-model Ford trucks when they’re not throttling down into their next adventure. See more of Aaron Kaufman's Scout in our Ride of the Week video!